"We love to meet locals when we travel and see how they live their lives; what places they prefer to visit the most. That's where we want to be. We think others will too." It's the dream of most of the wanderlust-afflicted folks I know to journey the world, meet local people in far-flung locations, and maybe earn a few bucks while doing it. This was also the dream Amsterdam-based travelers and married couple Bart and Sanne van Poll, a dream born over a beer in Brussels in 2007. The dream quickly blossomed into their reality -- a popular alternative travel website called Spotted By Locals where over 240 hand picked contributors, called spotters, in 44 cities across Europe wax lyrical about their favorite places in their home cities. Within the next 10 days (date TBD), look for Spotted By Locals to launch in the America, with spotters ready to go in San Francisco and New York. Before Spotted By Locals, the avid travelers said they relied on paper guidebooks for facts and history that never change but too often arrived at a referenced restaurant or café to find it closed or brimming with tourists, with nary a local in site. "The problem with travel guides and websites, in our opinion, is that they are usually written by travelers and not locals," said Bart. "Travelers visit a city for a short time and leave. They are not able to keep up with the current changes in the cities and spots they wrote about." On a trip to Brussels, Belgium in 2007, Bart and Sanne followed in the footsteps of a local blogger who highlighted his favorite places to eat and drink in the city. Their experience was exceptional and authentic, and over a glass of the blogger's favorite beer at his favorite watering hole, the plan for Spotted By Locals hatched. 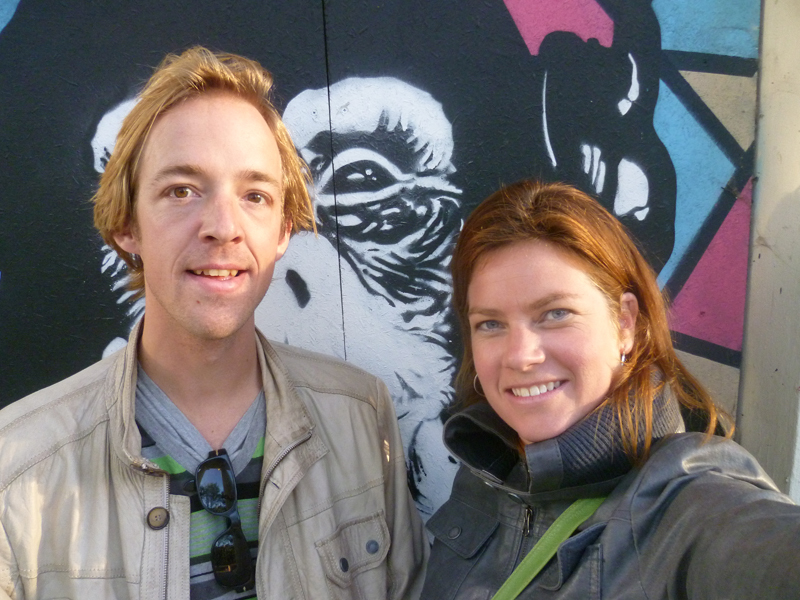 When it launched in 2008, Bart and Sanne took a giant (dream) leap and quit their day jobs. "If it didn't turn out to be the success we'd hoped for, we thought we could find another job." Fortunately for them, Spotted By Locals took off and these days Bart and Sanne spend half the year outside of Holland, visiting their spotters and traveling to new places. New York and San Francisco felt like the natural places to launch in the USA, says Bart, adding, "San Francisco is considered by Europeans to be one of the most beautiful and pleasant cities in the United States." Bart and Sanne plan to have locals up and running in seven U.S. and Canadian cities by summer, and continue to expand in Europe. They've also crossed the border into smartphones with an app for Android & iPhone out (all offline, no need for wifi), and an app for the Windows phone in the works. "Spotted by Locals doesn't make us rich financially, but we are leading a dream life. We travel a lot and get the opportunity to meet an amazing amount of local city lovers from many countries." This confirms what I've known all along, that following your dreams, and fueling them with Belgian beer, really pays off. See the Spotted By Locals website. Photo above courtesy of Spotted By Locals.